Registration: Sorry, registration for this event is now closed. See the calendar to register for the next event. From start-ups to hospitality to national brands, River North is the heart of innovation and business in Chicago. 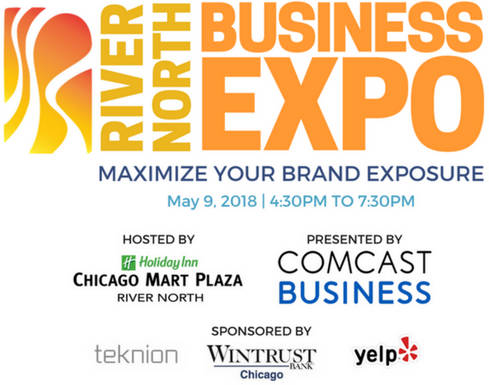 Bring plenty of business cards and join fellow business owners and entrepreneurs at the 2018 RNBA Business Expo, occurring at the Holiday Inn Chicago - Mart Plaza! Through educational workshops and exhibitor displays, this year’s Expo will help you learn, grow, and elevate your business to the next level. Whether you are in the process of forming your business, your business is new, or your business is well established, the Expo is the premiere place to meet experienced businesses that will provide the assistance, guidance, and resources for your business needs. Exhibitors include businesses in the legal, technology, financial, marketing, hospitality, printing industries. Elevate your brand story in this workshop designed to help you articulate your business vision and values, motivating your target audience to engage with your brand. Participants will leave this session with actionable takeaways and clear next steps for integrating the workshop materials into their marketing programming. Mix, mingle and socialize while you sniff, swirl and sip! Guests will learn the ins-and-outs of wine pairing, wine lingo and wine enjoyment. 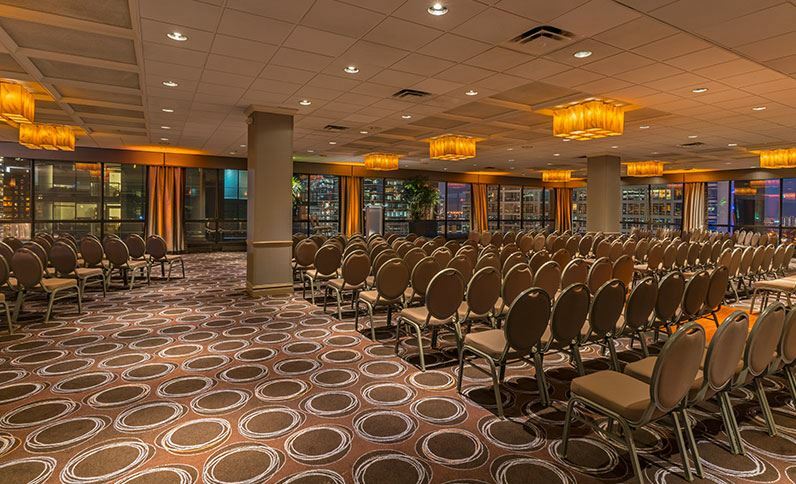 Receive an overview of classic wines and wine tasting, and take home a newfound knowledge that is sure to impress your clients. Five Star State Of Mind: Learn Ways To Connect With Your Customers And Make The Most Of Your Online Reviews. You don't have to have a perfect five star rating to have a five star state of mind. In fact, it's a mentality that any business can adopt regardless of your current rating today. It's all about setting a goal for yourself and developing a strategy for dealing with customer feedback and getting reviews organically. Join this session to learn tips from Yelp's Local Business Partner on ways to engage your customers online and make the most of your online reputation. John Buckingham has been guiding people with financial, real estate and taxes issues for over 30 years. His true passion is helping people understand the frustrating quagmire we call “finance.” Topics of this session include: learn about the different tax advantages of small business retirement accounts, how the new tax laws affect small business owners, and strategies to convert IRAs to Roth IRA’s. Topics of this session include: learn about the different tax advantages of small business retirement accounts, how the new tax laws affect small business owners, and strategies to convert IRAs to Roth IRA’s. This event is May's Business After Hours event but will be complimentary for all attendees who register by 12:00PM on Tuesday, May 8. No coupons needed for admittance but please register in advance for planning purposes. There will be a $10 Same Day Admissions fee for those who do not register in advance.